ORLANDO, FL (ANS) When someone offends you, do you get even? Ignore? Seek to reconcile? Suppose their offense were killing your loved one or maiming them – or you – for life. Would you meet with the perpetrator and talk it out? 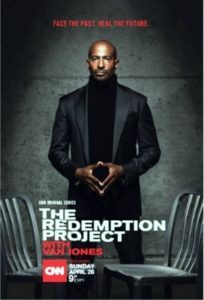 Maybe you can identify with participants chronicled in CNN’s new television series, The Redemption Project with Van Jones. Debuting April 28, it focuses on “restorative justice,” a novel attempt to repair interpersonal and societal harm that includes encouraging willing parties to meet and seek resolution. Sound far-fetched? 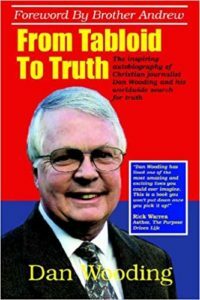 The series presents compelling true stories. In the four episodes I saw, the crimes were horrific: A drug-related murder, a bullet in the back of the head. A gang-related shotgun blast that killed a daughter. Two substance-related road crashes causing death and traumatic brain injury. Jones meets separately with both parties in advance, hearing their stories, hopes and fears. On dialogue day, drama peaks. We see faces up close, anguish, tears, smiles. We witness forgiveness granted or withheld. Real life happening. 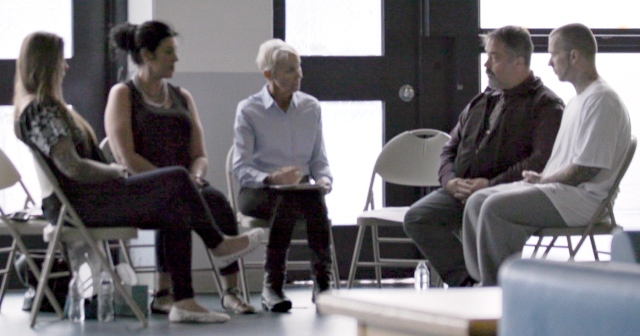 Offender and offended meet, along with support friends and facilitator. For instance, Joshua is serving 60 years for murdering Terria’s son, Christopher. All three used drugs, but Terria founded a ministry to help addicts. A cross hangs from her car mirror; she sports a T-Shirt reading “Blessed.” “I’m truly sorry,” the contrite, tattoo-faced Joshua explains. “I forgave you a long time long ago,” replies Terria. The two embrace. She now mentors Joshua. An irony (not mentioned in the CNN episode): Christopher went missing the day before Christian Broadcasting Network visited Terria to film her story for television. In that CBN segment, Terria told how finding faith in Jesus during prison had set her on the road to drug-addiction recovery. She learned of Christopher’s death the morning after the CBN filming. Her faith continues to fuel her life and work. Terria (far left) meets Joshua (far right), her son’s killer. Forgiving offenders can be hard, as Corrie ten Boom discovered. She and her Dutch family hid Jews from the Nazis during World War II. For this she endured Ravensbruck, a concentration camp. In 1947, she told a German audience, “When we confess our sins…God casts them into the deepest ocean, gone forever.” After her presentation, she recognized a man approaching her, a guard from Ravensbruck, before whom she had had to walk naked. Excruciating memories flooded back. Host Van Jones monitors the encounters from a separate room. I’ve never had a loved one murdered or maimed. But I was robbed at knifepoint in a home invasion. I picked the assailant out of a lineup; he was convicted and imprisoned. Later, I wrote him expressing my forgiveness, because Jesus had forgiven me. My request to meet with him personally seemed to spook his parole officer. I’ve often wondered what a supervised dialogue might have brought. The model that CNN’s series depicts deserves wide scrutiny. Editors: For access to these images, check here.